Don’t put the romance on ice this winter – head to the roof for cocktails, comfort food, and views of the city skyline. Lodge d’Argent returns for another season, transforming Coq d’Argent’s famous terrace into a winter wonderland. 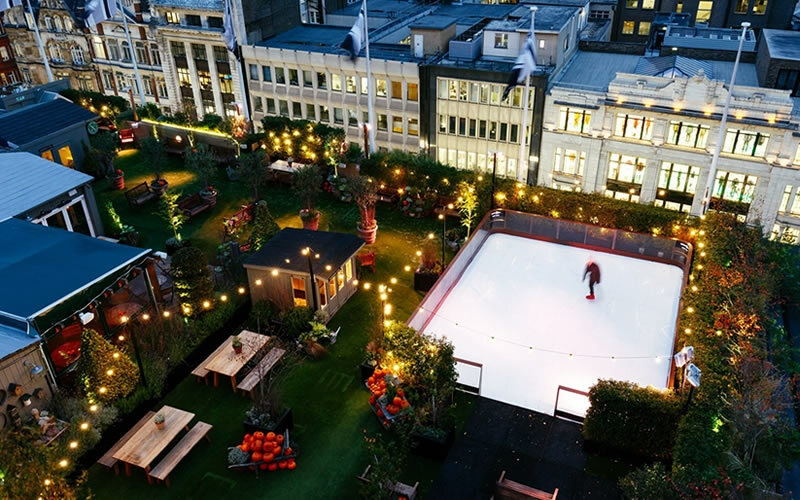 Alongside the festive lights and fur blankets, there will be a ‘Ski Cube’ screening vintage ski clips and two chalet-style huts for private dining. The ski theme extends to the menu, too – why not share a baked Vacherin cheese or some Savoyard charcuterie? If your date has a sweet tooth, treat them to warm waffles with chocolate sauce or an Avalanche cocktail made with Hennessy, Disaronno, and white chocolate foam. 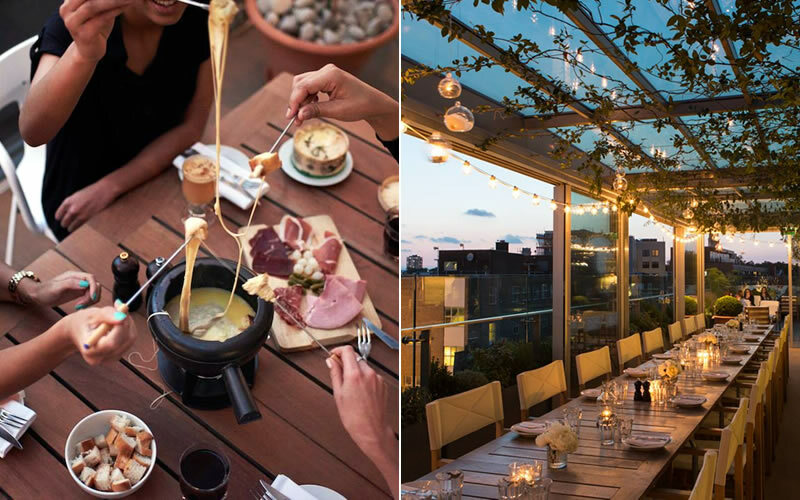 This rooftop dining destination is popular all year round – the heated glass orangery protects you from the elements while you enjoy the view. During the colder months, the menu is inspired by the Alpine regions so expect hot cocktails, cheese fondue, and melting raclette. If your other half has a passion for fromage, you’re on to a winner here. When the city is all lit up at night, there’s no better place to enjoy the view than from Aviary’s rooftop terrace. Through the winter, you can cosy up in one of their ‘igloos with a view’ or enjoy a romantic dinner for two in the restaurant. 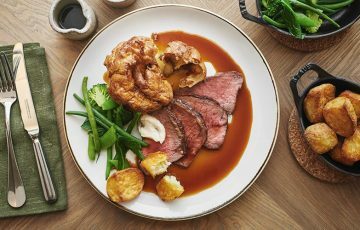 After a glass of fizz or perhaps some oysters, you can enjoy warming winter dishes like slow-braised beef short rib or gnocchi with roast pumpkin. 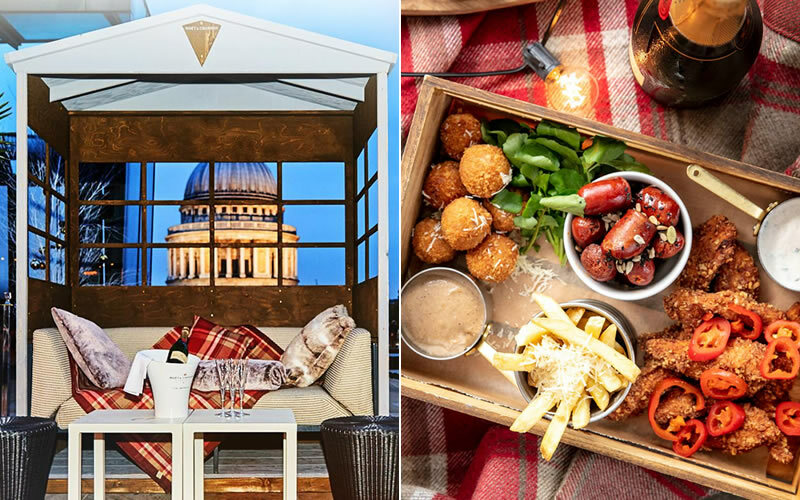 Madison’s rooftop terrace has been given an alpine-inspired makeover, just in time for the festive season. 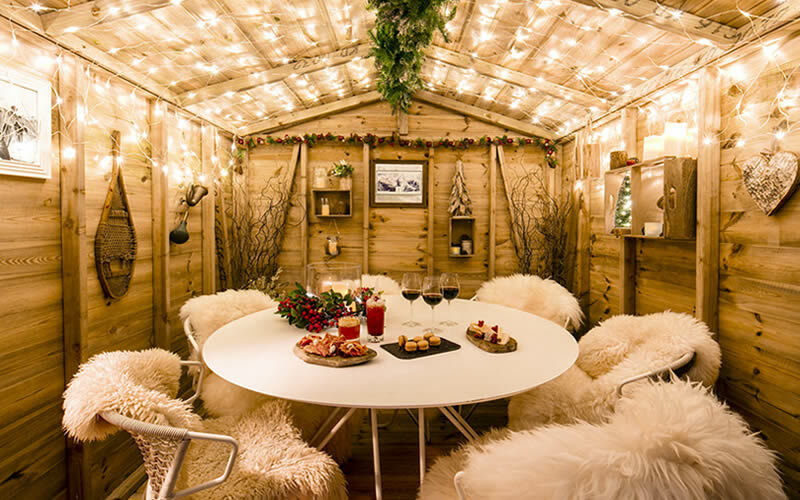 With twinkling lights and plenty of faux fur and tartan blankets, their chalets are the ideal setting for a date night with a difference. 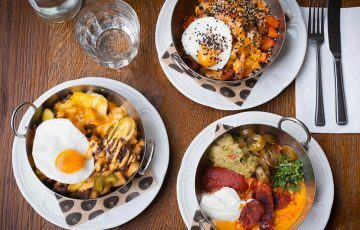 No matter how cold it is outside, you’ll be kept warm by their boozy hot chocolate and winter warmers like mac ‘n’ cheese and baked Camembert. Oxford Street can be a little crazy in the run up to Christmas but we’ve found the perfect place to escape the crowds. 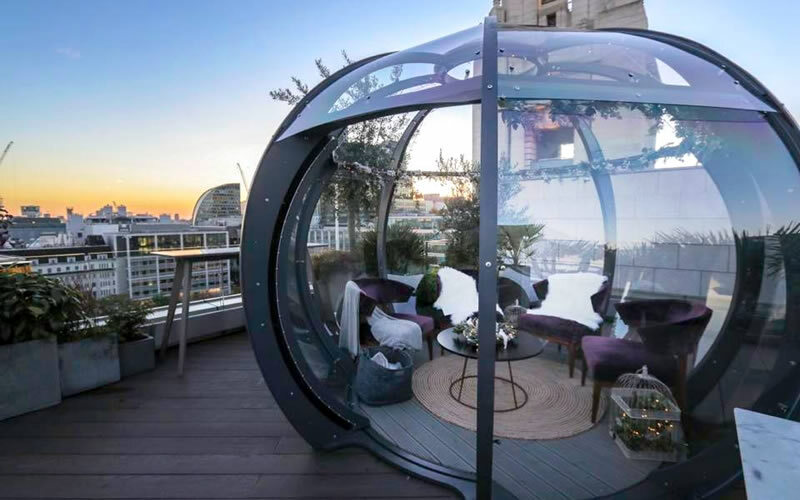 John Lewis have created the ultimate rooftop hideaway, complete with a mini ice-rink and a Sipsmith gin bar serving hot and cold gin cocktails. 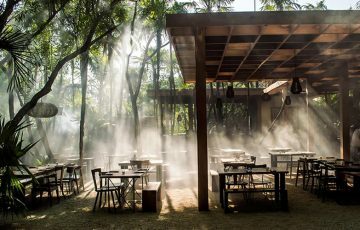 If you don’t fancy one of MyPie’s award-winning pies or Scotch eggs, you can dine nearby at Aqua Kyoto, Little Social, or Bombay Bustle. Visit OpenTable to check out more of London’s most romantic restaurants and give your winter date nights a little extra sparkle.